Will Messenger link-up be popular? 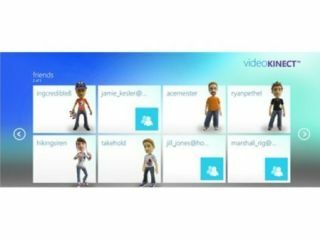 Microsoft is celebrating the launch of Kinect, but the Xbox 360 team is not the only one in buoyant mood, with the Windows Live team also hoping that the video call functionality of the new arrival will be popular. Video Kinect allows people to use their shiny new Kinect to video chat with their messenger friends – even if they only have a more typical web cam. "At Windows Live, we're very excited…because it gives our more than 300 million Messenger users worldwide a new way to stay connected with their Messenger friends," blogged Piero Serra. "And not only can you video chat from Xbox to Xbox, you can also video chat with your Messenger friends and family from your TV set to their PC or Mac with a webcam." The Kinect video chat also offers some enhanced (and some would say eerie) functionality. "And if another person walks into the viewing area, the camera automatically reframes the shot to fit everyone in."